Last month we took a look at what is currently being offered in terms of additive manufacturing simulation. Due to the sheer number of companies that are developing solutions in this field, we could only feature a fraction of them in our previous article. So, to conclude this topic, and to give you, the reader, a more complete overview of what is currently available for your 3D printing simulation needs, here is the second and final part of our series on additive manufacturing simulation. As with the previous article, we spoke to five different companies and asked them to give us the lowdown on their individual solutions. For this article, we’ll explore contributions from Materialise, Siemens, e-Xstream, Dassault Systèmes and COMSOL. So without further ado, let’s crack on! First up, we contacted Materialise, which is an old hand in the world of 3D printing, having provided print data preparation software Magics to customers for decades. We spoke to Manuel Michiels, market innovation manager for software at Materialise to see what the company is bringing to the world of additive manufacturing simulation. “Materialise Magics is the de facto standard for build preparation in Metal 3D Printing,” said Michiels. Indeed, the lack of interoperability between software file types when dealing with modeling and simulation is the bane of engineers everywhere. 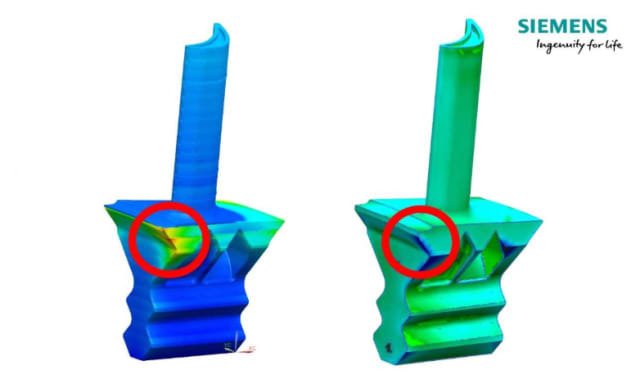 “Focused on Metal printing,” continued Michiels, “the simulation module features a mechanical inherent strain method based on Simufact Technology, including calibration of the strains [and a] simulation job management system to keep an overview. In terms of innovation, Materialise has a few plans on the horizon to keep it competitive with the other companies involved with 3D printing simulation. “[We plan on] further using simulation to automatically boost manufacturing workflows like optimizing support structures, orientation, slicing... thus helping our customers using their machines to the maximum capacity.” said Michiels. And what exactly is it that Materialise offers that is different from the aforementioned competitors in the field? 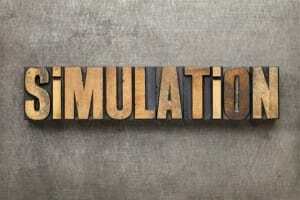 Last month we asked each company how accurate their simulations were, and what were the main sources of variance between the simulation process and the finished part. It’s easy enough for them to give us the marketing spiel…we want to know the limitations of the software, too! In order to maintain consistency and give all participants the chance to get their messages across, we asked the five companies that replied those exact same questions this month. “[The] tendencies of deformation, support failure ... are already captured in a couple of minutes of calculation,” replied Michiels. 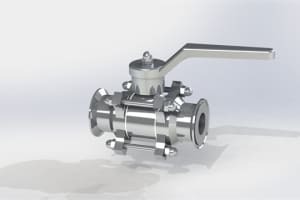 “For the more detailed analysis, a user runs a calibration procedure and a more detailed simulation calculation, resulting in accuracies reaching easily > 90. “The user is able to define the level of detail of simulation himself,” he continued. “Either running a fast and course simulation or a more thorough analysis, which results automatically in a higher accuracy." “Next to this, the user is able to choose from default inherent strains for his AM machine or use the calibration procedure to get a more accurate grip on the behavior of his machine. You can see the Magics Simulation module in action in the video below. Siemens is very much firmly embedded in the digital manufacturing landscape, with products spanning the entire product lifecycle, so it’s no surprise that the company is proactive in pushing additive manufacturing simulation into engineers’ workflows. 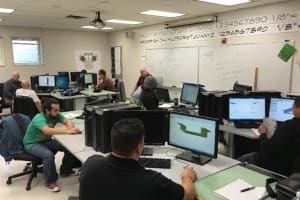 Engineering.com spoke with Ashley Eckhoff, marketing manager, Manufacturing Engineering Software, at Siemens to see what’s going on, and what the company has coming up in the future. “As more companies and industries adopt additive manufacturing as part of their production workflow, achieving a “first-time-right” print becomes increasingly important,” explained Eckhoff. 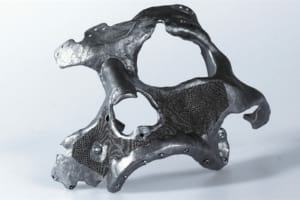 The concept of right-first-time printing is obviously of vital importance to high-end manufacturing companies that wish to use metal additive manufacturing. Metal printers and the feedstock used or printing are extremely expensive—there isn’t much room for error or rework from an economic standpoint. “For first-time-right printing, it is important to simulate the build process for the entire build tray, including support structures,” said Eckhoff. So, what is unique about Siemens’ approach to bringing additive manufacturing simulation to the masses? 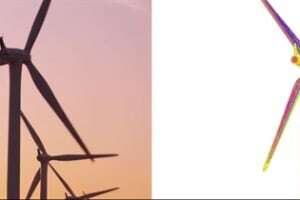 “Siemens has chosen to take a pragmatic approach where the simulation is based upon a hybrid microstructure data set that combines computed and empirical information,” continued Eckhoff. 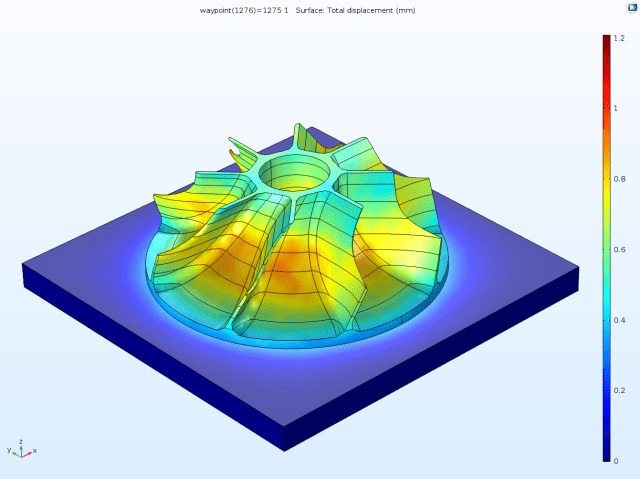 On the topic of simulation accuracy and variance, Siemens is still working on this, as the additive manufacturing simulation module is still relatively new. “At Siemens, we are working intensively with early adopter customers to test the accuracy of our process simulation process,” said Eckhoff. “The feedback we are getting is helping us [to] tune the quality and accuracy of our simulation results. And, finally, what does the future hold for Siemens in terms of additive manufacturing simulation innovation? 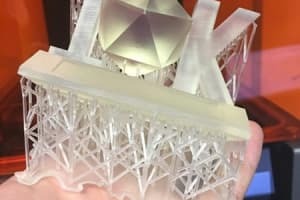 “Siemens is researching how to use simulation to counteract distortion by recognizing regions of local overheating and adjusting the print process in those regions,” concluded Eckhoff. e-Xstream was founded in 2003 as a spin-off of Université Catholique de Louvain, and was acquired by MSC Software Corporation in 2013. In that time, the company has become experts in the field of multiscale modeling of composite materials and structures. 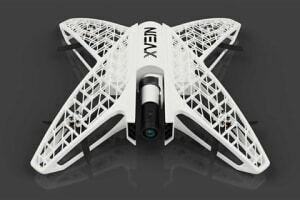 In recent times, it has expanded that expertise into the domain of 3D printing simulation, and now has a portfolio of customers representing all aspects of high-end manufacturing. e-Xstream is also one of the few companies that we spoke to that has a product that is 100 percent focused on polymer and composite printing processes. We spoke to Olivier Lietaer, business development engineer for Additive Manufacturing at e-Xstream to see what the company has to add to the discussion. 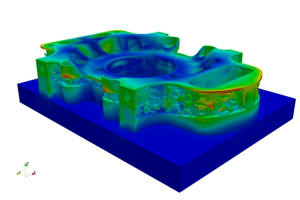 “Based on its Digimat material modeling technology and MSC Finite Element technology, e-Xstream engineering has developed an integrative solution for additive manufacturing with a unique combination of material engineering, process simulation and structural engineering to address the [following] AM industry key challenges,” said Lietaer. “Firstly, in the area of materials, e-Xstream is extending its material engineering tools (Digimat-MF and Digimat-FE) to enable virtual compounding of new AM materials and simulate the as-printed material behavior. Advanced material models taking the process anisotropy into account are then built, stored and promoted via Digimat-MX material exchange database. Thanks to these tools, users can significantly reduce physical tests, understand key parameters driving the material behavior, and easily create new material systems, such as lightweight lattices. “In terms of process: Digimat-AM is a new software solution that has been developed to print right the first time by simulating the FDM and SLS processes of reinforced materials. Digimat-AM helps anticipate printing issues, predicting warpage and compensating distortion. 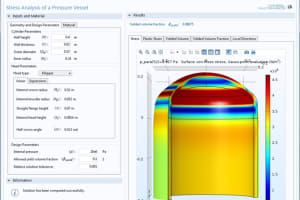 Process simulation is a key enabler for engineers to better understand and optimize the process settings by evaluating their effect on part warpage. 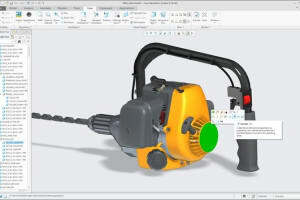 “And in terms of performance: e-Xstream is extending its Digimat-RP structural analysis solution to enable engineers to validate their design by predicting the printed part performance (stiffness, strength, …) as a function of the material and the printing setup, such as toolpath or build direction. The improved accuracy provided by Digimat simulation makes it possible to reduce weight, cost and time to market while reducing material testing and prototyping requirements. 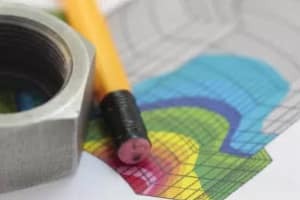 In terms of the features of Digimat AM, e-Xstream told us that its software emulated the real-life printing workflow, took into account process settings and material parameters, and made use of MSC’s own nonlinear finite element analysis (FEA) solver, MSC MARC. Additionally, e-Xstream is clearly aiming to make its products accessible to a wide range of users. What makes Digimat AM unique in this particular software domain? What can e-Xstream do that nobody else can? “e-Xstream Engineering is the Material Modeling Company. Digimat is the result of 15 years of collaborative R&D work done on multiscale modeling and nonlinear micromechanics with universities and research centers and based on partnerships with key actors of the industry. Consequently, dealing with reinforced materials and advanced material models for AM is just the logical continuation of our previous developments (e.g., injection molding). To us, ‘filled’ is the natural state of polymers. With such an impressive pedigree in the field of materials and simulation, you’d expect e-Xstream to have something to say on the topic of simulation accuracy. 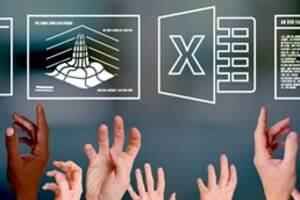 Indeed, e-Xstream is very forthcoming in terms of the disparity between simulation and real life—it even provided us with a numerical value! “e-Xstream Engineering is partnering with a complete AM ecosystem, including material suppliers, printer OEMs, R&D institutes and end users to develop, verify, validate and improve the numerical simulation tools,” continued Lietaer. With such a specific value known, e-Xstream must have some insights into the cause of such variances, right? You bet. “From the process simulation point of view, the main challenges highlighted by customers studies are the need to account properly for the thermal environment and history, as well as support modeling,” said Lietaer. 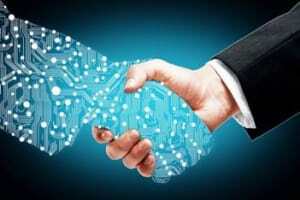 And not content with being the owner of the largest composite database, e-Xstream is optimistic that it can stay innovative and competitive in the marketplace. “The first releases have constituted the first milestone of a long and exciting journey—as many other types of printers, materials and modeling techniques will be added as the releases go by,” said Lietaer. Up next, we spoke to Subham Sett, director, SIMULIA Strategic Initiatives, at Dassault Systèmes. So what sets Dassault Systèmes’ products apart from everyone else’s? “Dassault Systèmes offers a single software environment,both on premise and cloud, that allows complete digital thread connecting design optimization, geometry reconstruction, to build planning, process simulation and post-processing and in-service simulations,” said Sett. And what does Dassault Systèmes have in the pipeline in terms of future innovations on its platform? 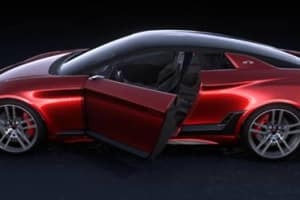 “Through innovative new products such as the 3DEXPERIENCE Marketplace, Dassault Systèmes is focused on streamlining on-demand additive manufacturing processes from 3D to real production parts, collaborating with leading digital manufacturers in record time,” said Sett. 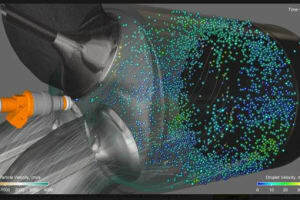 On the topic of simulation accuracy and variance, Dassault Systèmes seems to have a firm grasp on the subject, and has won an award on that very theme. “Rated best by NIST’s AM benchmark residual stress prediction, Dassault Systèmes’ AM simulation provides the most accurate simulation predictions comparing to NIST’s state-of-art physical prints and measurements (AM-Bench 2018 Benchmark Challenge Submissions and Awards). 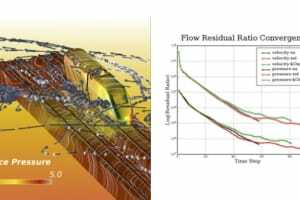 Dassault Systèmes microstructure modeling framework provides validated microstructure features prediction with mapping to macroscale mechanical properties such as Young’s modulus, yield stress, ultimate tensile stress. And last, but by no means least, we reach COMSOL. COMSOL, being heavily involved in the realm of multiphysics simulation is well positioned to use its expertise for additive manufacturing simulation—the very nature of additive manufacturing spreads across multiple physical domains after all! We chatted with Bjorn Sjodin, VP of Product Management at COMSOL, Inc, to see what the company has to offer. “COMSOL’s customers are using a variety of products for 3D printing,” said Sjodin. “The most common add-on products used in combination with COMSOL Multiphysics include the Structural Mechanics Module, the Nonlinear Structural Materials Module, and the Heat Transfer Module. Some customers also add electromagnetics and chemical analysis to their 3D printing simulations, which is covered by the AC/DC Module and the Chemical Reaction Engineering Module. “The Structural Mechanics Module can handle deposition of materials in a strain-free state by using a technique called material activation,” continued Sjodin. 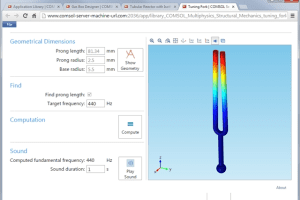 What sets the COMSOL Multiphysics platform apart from other competing products? “COMSOL Multiphysics is unique in that our products serve as a toolbox for exploring all aspects of the printing process,” said Sjodin. “We have customers that are developing additive manufacturing equipment and are reliant on our tools for further developing their printing methodology. 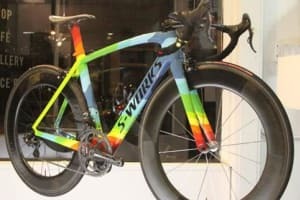 They use it to better understand the physical phenomena behind their proprietary additive manufacturing process as well as for coming up with ideas of how to change the physical process so as to enhance the performance. Being the multiphysics specialists that they are, COMSOL is planning to continue adding new dimensions to its simulation products. So, exactly how accurate are the COMSOL simulations compared to real life? “It is hard [for COMSOL or any other simulation software for that matter] to get the same level of accuracy as in traditional mechanical analysis,” said Sjodin. 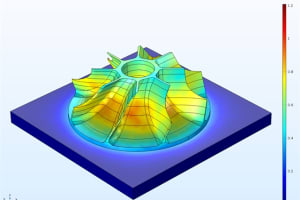 Regarding the source of variance between the simulation and final printed part, COMSOL has some different insights of its own. “When it comes to something as seemingly straightforward as the addition of material, the process needs to be discretized, or digitized, in some way,” explained Sjodin. So, there you have it. As you can see, this area of simulation is a hotbed of activity from CAE providers all across the board that are all racing for the common goal of simulation robustness, which in turn will allow customers to achieve their right-first-time philosophy. Obviously, these goals are particularly vital to high-end additive manufacturing applications such as those in the aerospace, military and medical industries, where raw materials are expensive and compliance is king. It is interesting to read the companies’ different responses to how accurate their simulations are, and what the sources of variance are. We asked 10 companies the same question, and for the most part received completely different answers. Some say that a lack of understanding of the software can cause differences between simulation and real-life results, while others acknowledge that the lack of material data or lack of understanding of the physics can determine how large this difference is. The variety of answers to this question highlights how much further we have to go in terms of creating a unified understanding of these processes- and simulating them! 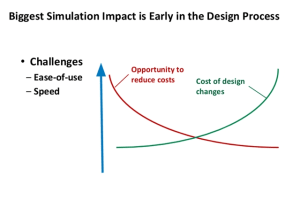 Whatever the reason, the quest for simulation accuracy is a never-ending one, and the companies that can demonstrate consistent and repeatable simulations will be the ones that get the big customers. A common theme among the respondents is the desire to bring additive manufacturing simulation away from specialists and into the hands of designers—on the actual factory floor. One way in which this is being achieved is by increasing the usability of products through user-friendly GUIs. In addition, most of the companies we spoke to are focusing on greater integration of their platforms into existing workflows and PLM systems. Integration and accessibility are definitely the themes of the day. 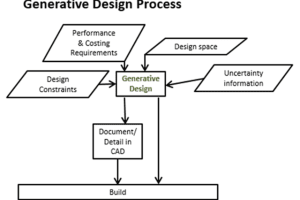 So, one final question for the readers: Aside from accuracy and usability, what other aspects of additive manufacturing simulation are important to you as an engineer? 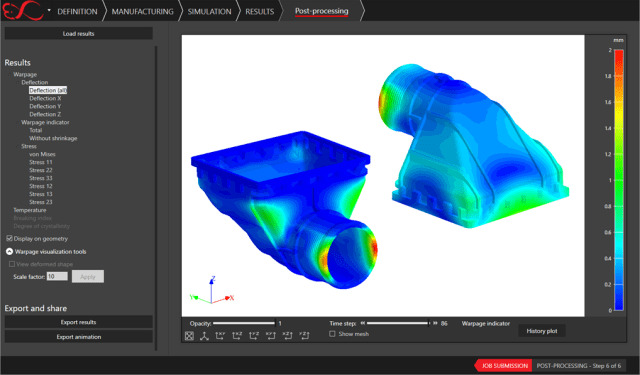 What features would you like to see in additive manufacturing simulation?